It's almost time for the city's annual recycling event! This year's event will take place in the Lilburn City Hall-Library parking lot! The following items will be accepted at the event. Any additional items will be added to this list as they are confirmed. •Free electronics recycling with the exception of TVs & CRT monitors. There is a $15 cash fee per TV up to 32" anything larger is $25 cash fee or CRT monitor which E Recycle USA will collect at the event. Some of the items not accepted in the bulk trash dumpster include; yard waste, batteries, paint/chemicals, construction materials, concrete, oil, tires, florescent bulbs, propane & any other combustible materials. Click here for a list of electronics that E-Recycle USA will accept at the event. Thank you to Lilburn Chevron for sponsoring the tire recycling at this year's event and to Advanced Disposal for sponsoring the paper shredding! Gwinnett Recycles will be collecting select items to send to TerraCycle. Please place all items in a bag before bringing them to the event. 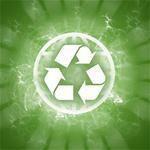 Click here if you have questions about items Gwinnett Recycles will accept. Stop by the event and drop off your used printer ink cartridges in one of the bins provided by Cartridge World. Parkview Christian School will be accepting latex and oil paint for recycling during the event. The paint collected will be reconditioned to be used again. There is a fee for this based on the quantity and type of paint. Paint can not be mixed with anything, including other paint. A portion of the proceeds will support the school. For more information on paint collection, fees, and paint can sizes accepted, call 404-317-7637.